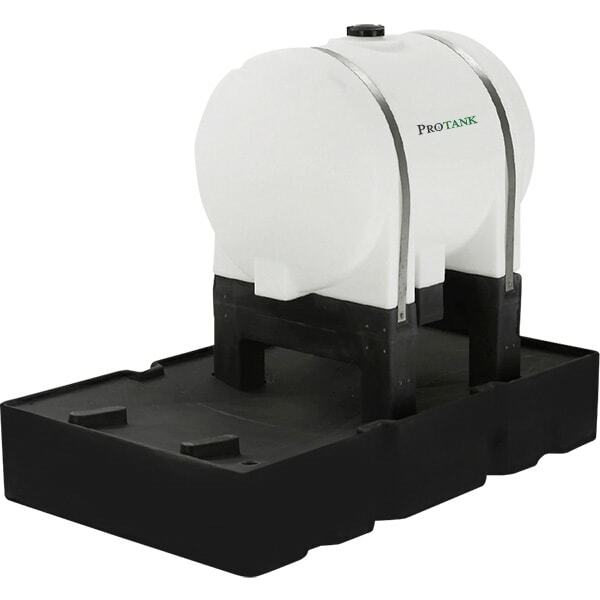 Protank offers a complete line of chemical injection tanks for the oil and gas industry. Our systems consist of tanks ranging from 65 to 725 gallons. We offer our tanks with steel or plastic support stands, round or rectangular containments and SS drain connections. We can customize any of our systems to meet your needs. Contact our sales staff for pricing for any of our chemical injection tanks and containments. We offer this system in 125, 225, and 335 gallons. They come with a HDPE tank, stand, and containment. They are also offered with SS hold down bands and a SS drain fitting. Containment Basins provide 110% containment of tank. Basins are enclosed to keep out debris and prevent wildlife or livestock from getting into the containment, making the basin an eco-friendly system. Containment basins have pump mount and a 2” and 3” female threaded connection for items such as solar panels. Systems are standard with HDPE tanks, but XLPE tanks are also available. Please contact sales staff for pricing or questions.